Request more features at the bottom of the page! 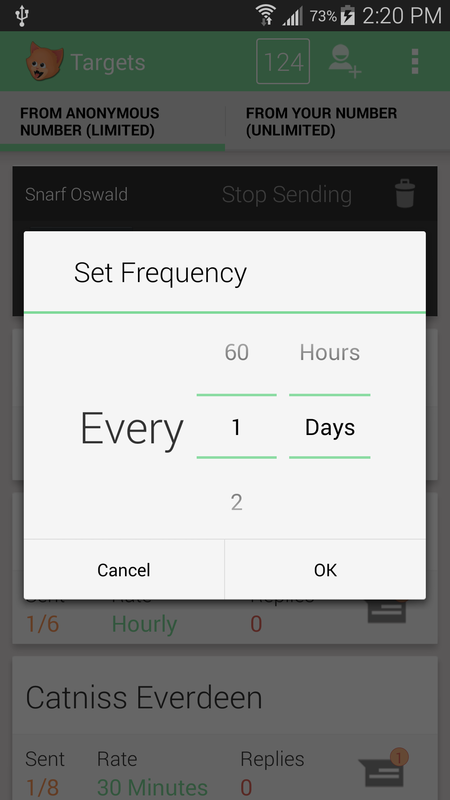 Seamlessly switch tabs between the limited anonymous sending mode and the unlimited sending mode. 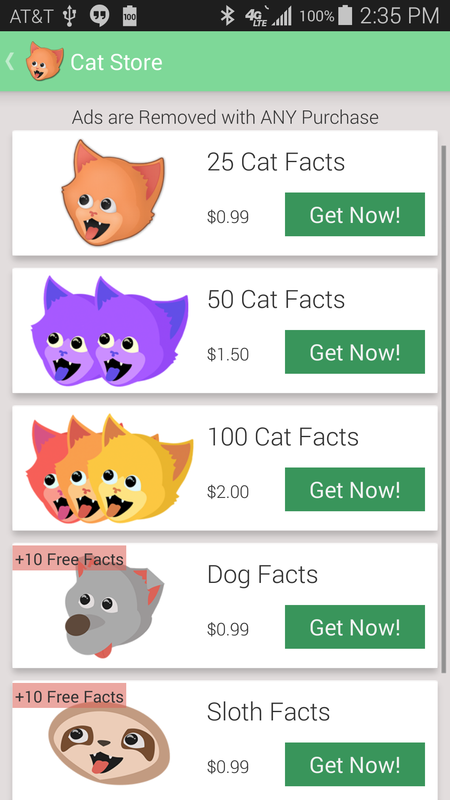 Purchase more anonymous facts or remove ads at the in-app Cat Store! The app is responsive and available on all device screen sizes (including tablets)! 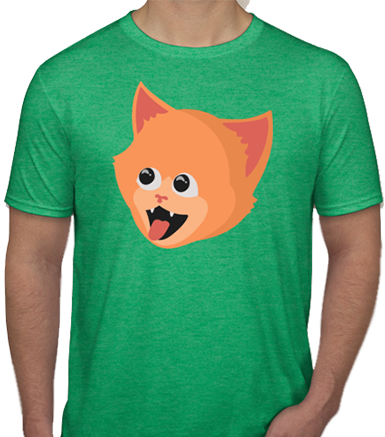 View the conversation between the CatBot and your friend right in the app and share all their funny responses! 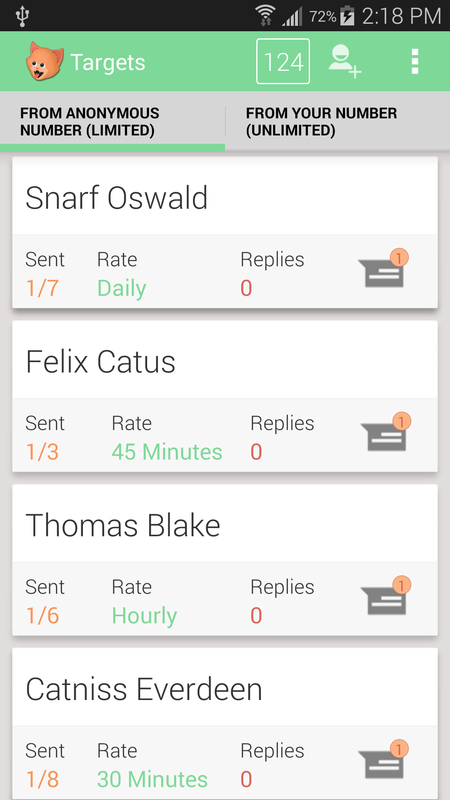 YOU get to set the total amount of facts to send and what interval to send them. 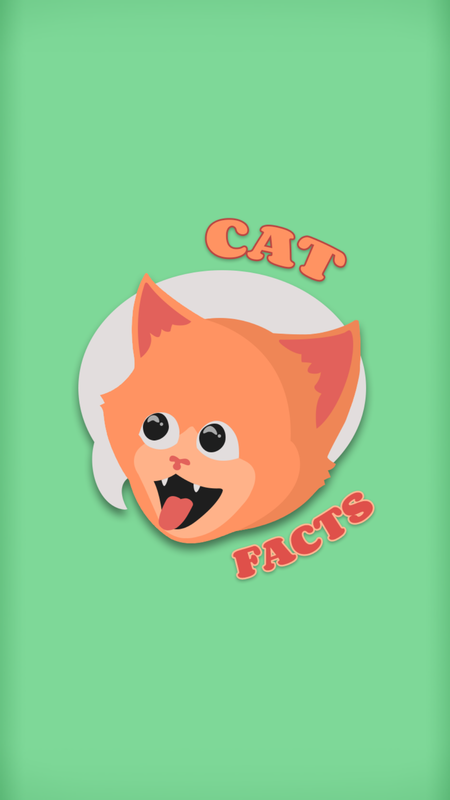 Cat Facts will automagically send out great fun facts on the interval you set! Cat Facts started in 2012 after seeing the post on Reddit about a person who sent their cousin facts about cats when they posted their number on Facebook. The Cat Facts Android app totally automates the sending of facts like the original Reddit post. Want More Info on Cat Facts? Get more info by clicking the links below! Get answers to common questions like: Why aren't there unlimited anonymous facts? Why aren't there funnier messages? Why is there a link in the first message? Why are there so many permissions for the app? Check out the terms of service so you know you're using Cat Facts correctly. We don't want to cost people without SMS plans money with our facts, now do we. View some Cat Facts conversation screenshots to see how great it can be!